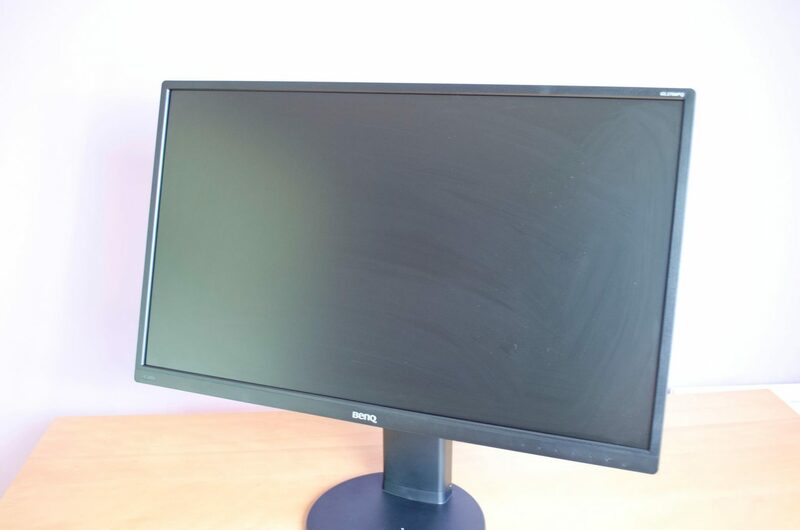 Today, we have another monitor from our friends at BenQ by way of the GL2706PQ. 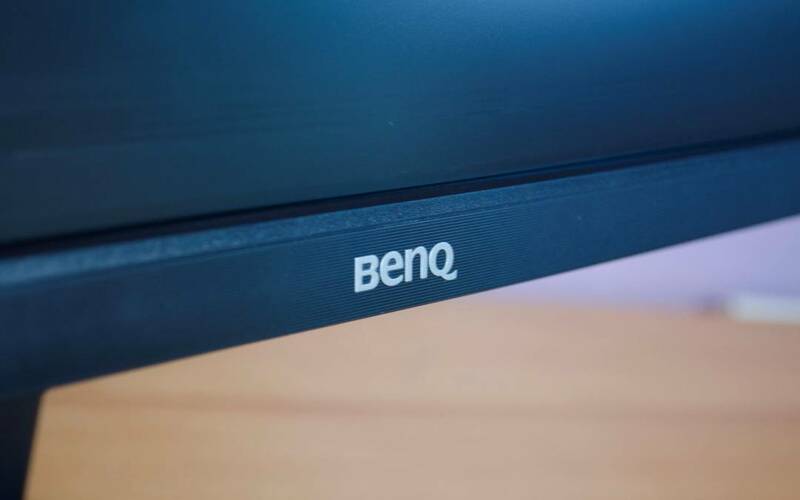 When it comes to monitors, BenQ has a vast selection available. 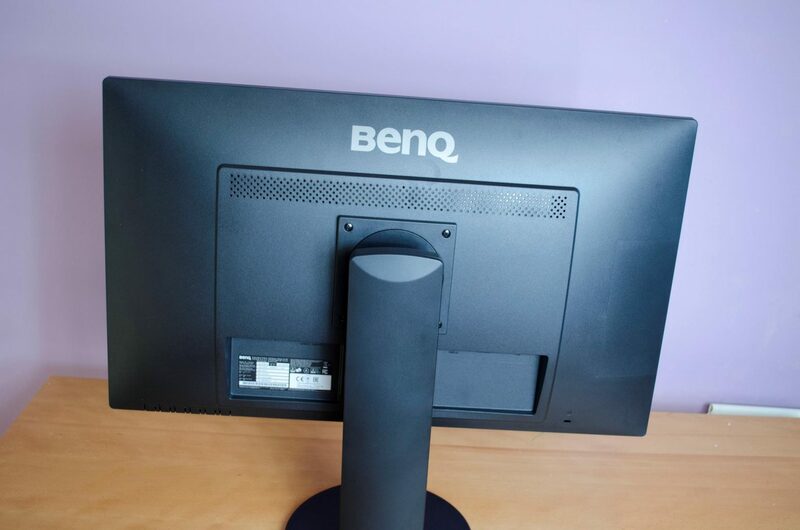 BenQ prides themselves on making sure they have a monitor to suit everyone’s needs. 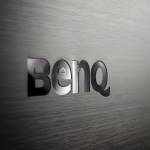 Whether you are a professional gamer, video editor or just a normal user, BenQ will have something to cater to you. 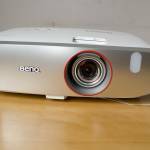 Previously, we have looked at the EW2775ZH, RL2460, GW2270 monitors and even the WS1210ST Gaming Projector from BenQ. 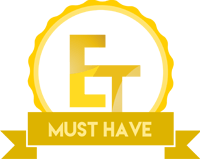 Remembering that each monitor is designed to offer a certain feature, it is easy to see why we have been fairly pleased with all of the offerings we have seen here at Enos Tech. The GL2706PQ is designed for office users in a professional environment. 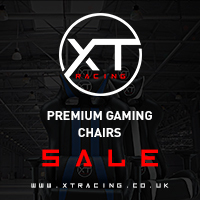 The GL2706PQ comes boasting a 2560x1440 QHD resolution, internal speakers and is also ergonomically friendly so you will be able to get it in just the right position to offer maximum comfort. Not only is it great for office use, the 1440P resolution and 1MS response time will also allow it to be good for watching films and even some gaming if that is your thing. 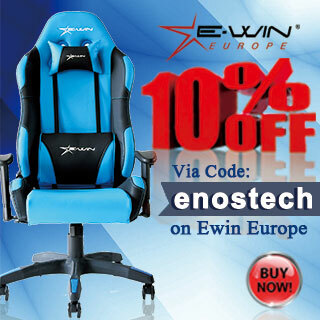 While designed with professionals in mind, as we can see if should be more than suitable for your standard everyday users as well who want something a little more than just a standard 1080P monitor. Featuring a 27″ 2560x1440 screen, the GL2706PQ should be more than big enough for most standard users. The ergonomic design, which we will look at shortly also means that you should be able to get it positioned perfectly for your individual eye-level with ease. Another thing worth noting is the slim bezel that goes around the screen. This is nice as it allows users to setup multi-monitor setups with as little interference from the bezels as possible. 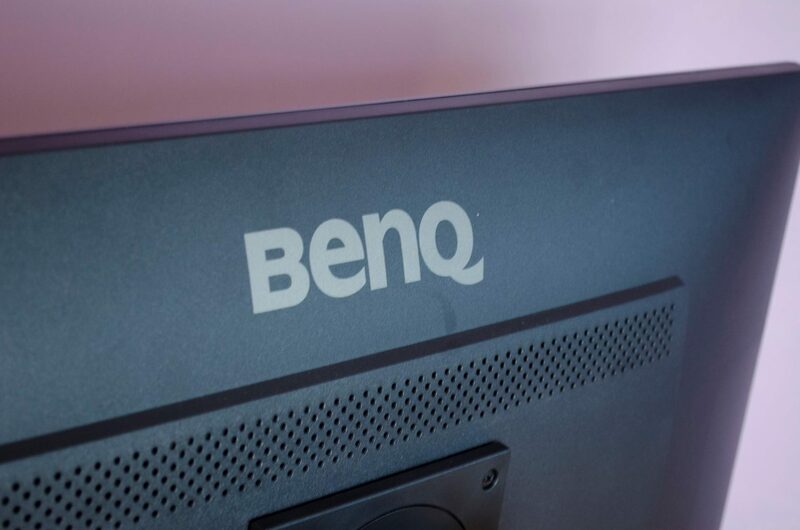 Taking a look at the back and we can see a nice sized BenQ logo. Below this, we can see some ventilation which really serves two purposes. 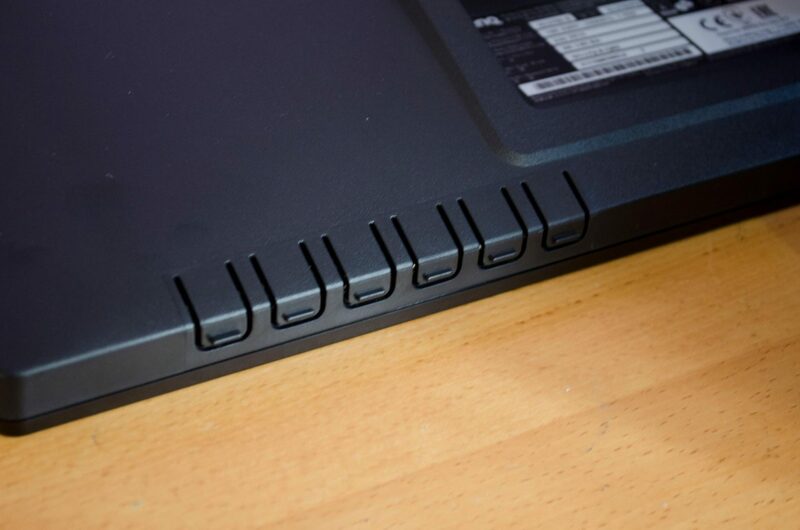 This small holes will not only allow whatever heat is created from the monitor to escape, it will also allow the sound from the internal speakers to come out without being distorted. Again, remember this is designed for professionals so the speakers aren’t going to offer booming bass, but they should be more than sufficient for most standard daily activities. Next to the power input, we also have our Audio jacks (Line-in/out) so users can make use of headphones and other audio devices alongside the GL2706PQ. 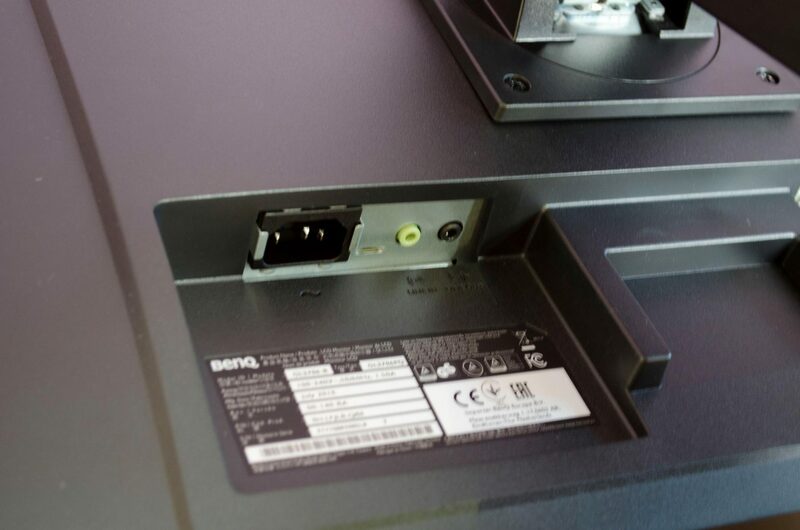 Below this, we have the information sticker which will give us all the official details of the monitor sure as the part number, serial number and more. 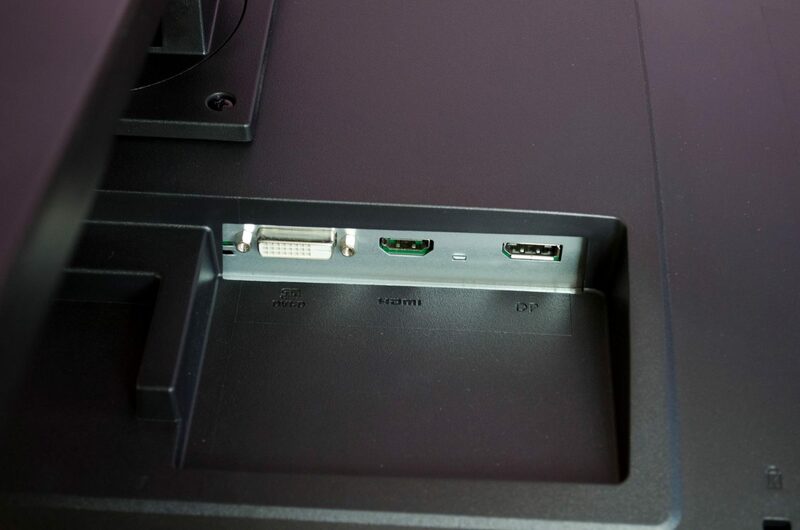 As for display inputs, there are three, we have a single DP, HDMI and DVI inputs. 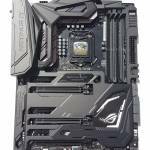 User’s looking to make the most of the monitor with want to consider using the Display Port bearing in mind they will need to have a suitable PC to do so! One thing I’ve always liked about BenQ monitors is that generally tuck the buttons out of the way. 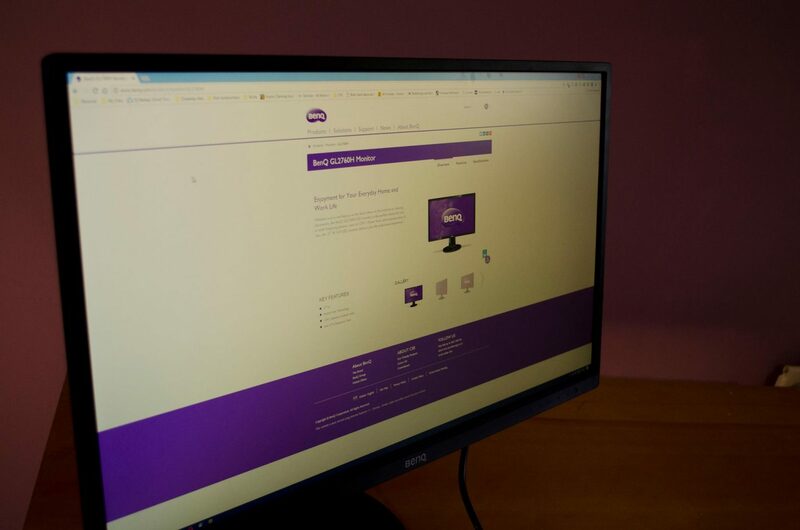 As we can see, these are just under the front right side of the monitor and will allow you access to all the inbuilt menus and help you navigate them. Looking at the monitor and you won’t even be able to see this which is something I am quite fond of. While it makes no real difference, it does off a more aesthetically pleasing look and should go over well with most users. As previously mentioned, the GL2706PQ does have an ergonomic design to it which is going to allow users to have the most comfortable viewing experience possible. Not only can you change the monitor’s height by simply moving it up or down, you can actually tilt the screen towards or away from you as well, giving you many possible options to find your desired viewing angle. 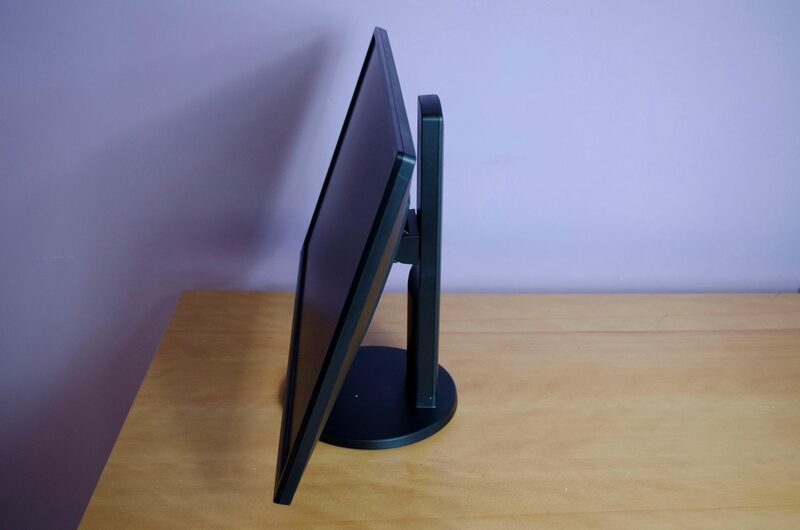 This will also come in handy during different times of day as you can easily tilt the monitor up a small bit to help avoid glare from the sun. The display features low blue light and flicker free technologies to help combat eye fatigue while remaining visually pleasing. 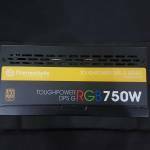 The colour representation seemed fine in all my testing and as you can, our website looks absolutely brilliant on the GL2706PQ. 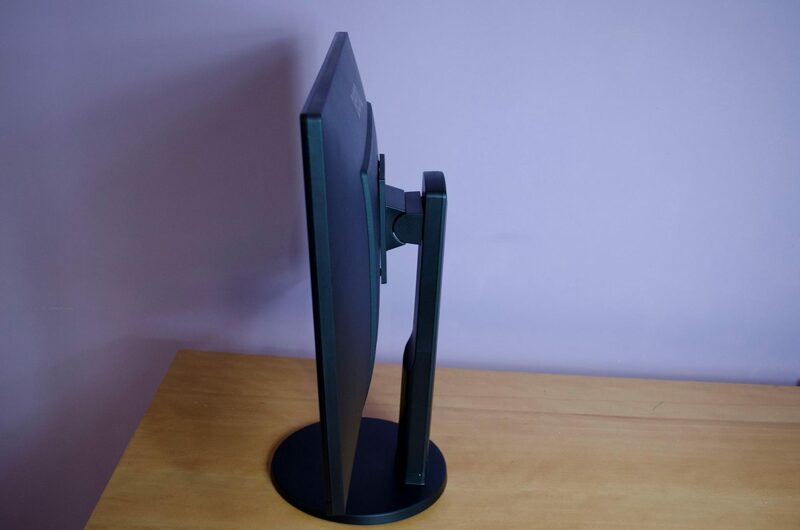 I used this monitor for a good couple weeks and was very pleased with it, coming from another 1440P monitor, the settling in time was near nil and I was able to make sure of the monitor straight away. Keeping the intended purpose of this monitor in mind and it offers some great performance. 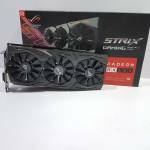 The 27″ size is perfect for the 2560x1440 QHD resolution and the 1MS response just helps tie it all in and offer a great viewing experience. Aside from that we also have the flicker-free technology and low blue light which help to reduce strain and irritation to your eyes. 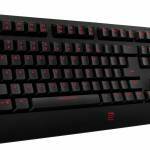 While primarily designed with offices users in mind, there is no denying some of the features and performance it has to offer will be a great addition to any home and can even handle a bit of gaming with ease. the 1MS response time will surely come in handy in FPS games and the 1440P resolution will go a long way when it comes to gaming as well. When it comes to the overall performance of this monitor, it will be, as designed, great for office use and personal use alike. 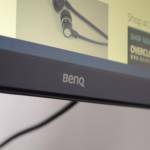 BenQ has kept things fairly simplistic with the GL2706PQ monitor. Not only aesthetically, but in terms of features as well. Don’t let this fool you though, this monitor still has a lot to offer. The simple design also allows it to be quite elegant and will look great in an office environment. 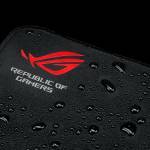 The slim bezels will also come in handy for those who are looking to make use of a multi-monitor setup. Feature wise, we have most everything those in an office type environment would need. 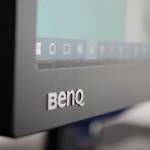 BenQ has added the most important features to the GL2706PQ that will aid in reducing eye strain and irritation which is are some of the more important features an office monitor can offer. Coming in at just north of £250 at the time of review, the GL2706PQ has some pretty impressive features for this price range. Considering it is a 1440P monitor, after all, generally, in this price range, you wouldn’t get much in the way of features. The ergonomic friendliness of the monitor is worth the price alone when combined with the resolution. Throw in some flicker free and low blue light features and you’ve got yourself one serious business monitor. 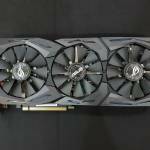 Oh, let’s just mention again that it’s fairly decent for gamers who aren’t quite professional, but want something more than a standard 1080P option. 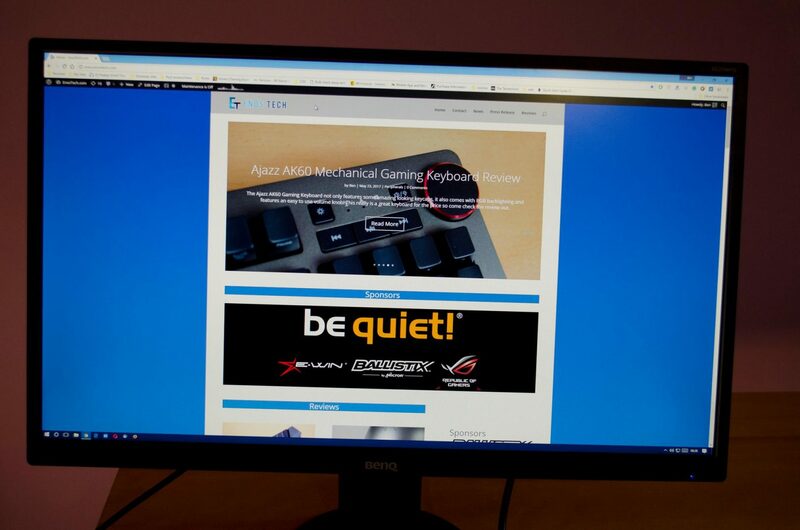 Massive thanks to BenQ for sending in their GL2706PQ for this review!